FIFTY representatives of various sugar organizations representing sugar producers, small farmers, agrarian reform beneficiaries, and mill and farm workers have organized themselves into a group called "Tatak Kalamay." The group on Saturday, March 23, endorsed seven senatorial candidates. Among them are reelectionist senators Sonny Angara, Nancy Binay, Joseph Victor "JV" Ejercito, Aquilino Pimentel and Cynthia Villar, who are considered as champions of the sugar industry. 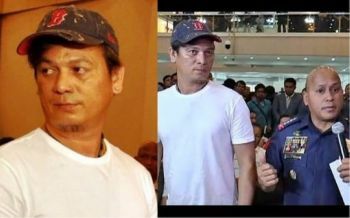 The group also endorsed Duterte's loyalists, neophyte senatorial bets: former Philippine National Police director Ronald "Bato" dela Rosa and former Special Assistant to the President Christopher Lawrence "Bong" Go, both of whom committed to support the sugar industry once elected into office. The endorsement and show of support were made Saturday at the Time Out restaurant in Bacolod City, in time for the launch of Tatak Kalamay. The groups agreed to band together to collectively address the various challenges of the industry over the last couple of years due to the high-fructose corn syrup (HFCS) and sugar sweetened beverage tax, and, lately, moves by the government’s economic managers to liberalize sugar importation. Raymond Montinola, spokesperson of the Confederation of Sugar Producers (Confed), read the statement of Tatak Kalamay: "We come together because, once again, the sugar industry is faced with a threat that could spell its death and sink the nation's economy and our efforts to achieve full food self-sufficiency: liberalized importation." “The seven Senate bets are candidates who walked their talk, standing with us as we fended off challenges such as the influx of HFCs and sugar taxes,” the statement also read, referring to the five senators who have helped the sugar industry hurdle its challenges, including the filing of Senate Resolution 1014 last February, urging the government to abort the planned sugar liberalization to safeguard the economy and the welfare of industry stakeholders in 28 sugar-producing provinces in the country. Tatak Kalamay also included Go and dela Rosa as they assured them of their support during a dialogue. There are more or less five million people who are directly dependent on the sugar industry. Meanwhile, lawyer Emilio Bernardino "Dino" Yulo, Sugar Regulatory Administration Board member, said the movement is endorsing only seven Senate bets, who are mostly from Luzon, to give others the leeway to choose other candidates to complete their Magic 12. A dozen senators will be elected this year. There are three Negrense senatorial bets this year: Rafael Alunan III, Neri Colmenares and Gary Alejano, who are all known critics of the Duterte administration.